Fig. 15 Example of the File Editor App viewing the contents of a file. This Open OnDemand application provides a web-based file editor that allows the user to remotely edit files on the HPC center’s local file system. This application is built with the Ruby on Rails web application framework. Launches the File Editor App with the file corresponding to the path in the editor. 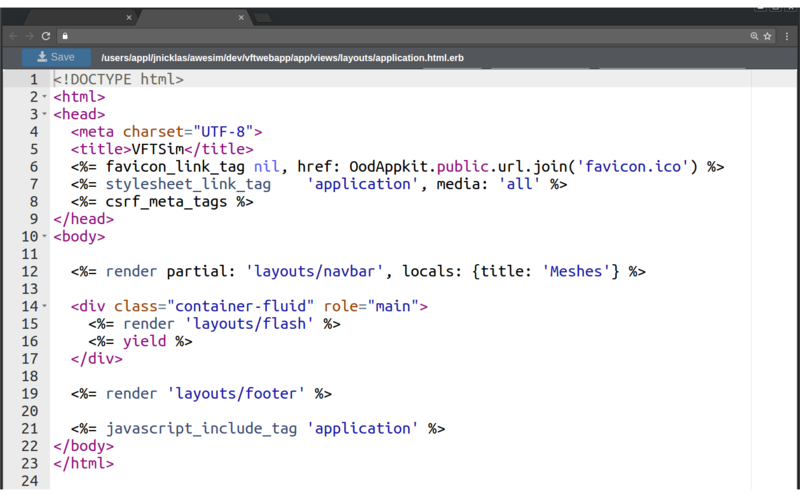 Launches the File Editor App with the contents of the file /home/user/my_file in the editor. Fig. 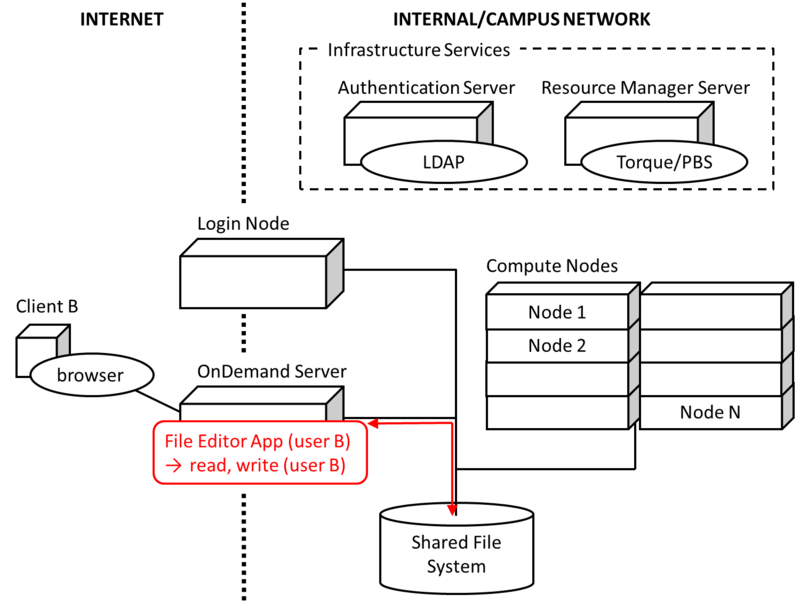 16 Diagram detailing how the File Editor App interacts with the HPC infrastructure. Fig. 16 details how the File Editor App works on a local HPC system. The user’s PUN running on the OnDemand Server launches the Ruby on Rails File Editor app through Passenger as the user. The File Editor app then interacts with the local and shared file systems for reading and writing the file contents.